Very often after scanning documents, the TIFF file which we get is not correct. It can contain a lot of blank pages that you do not need. 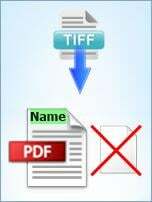 To get rid of these pages use TIFF PDF Cleaner. It will automatically scab your files or folders, find the blank pages and delte them. The output files can be TIFF or PDF. CoolUtils is pleased to present a specialized tool for removing blank pages from TIFF and PDF docuemnts. It is also perfectly suited to split multi-page files to make them more readable. In this article we'll show you how to convert TIFF files to PDF and delete blank pages. Download and install TIFF PDF Cleaner. 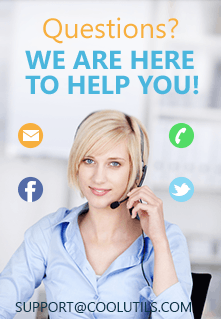 You can purchase the fully functional version of Total PDF Cleaner or take advantage of a 30-day free trial copy offered by CoolUtils for 30 days. There are no restrictions, anyone can use download it! 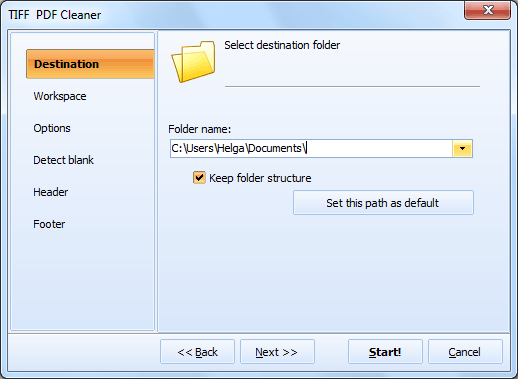 Open TIFF PDF Cleaner. In the column on your left-hand side you will see the tree of files and folders. 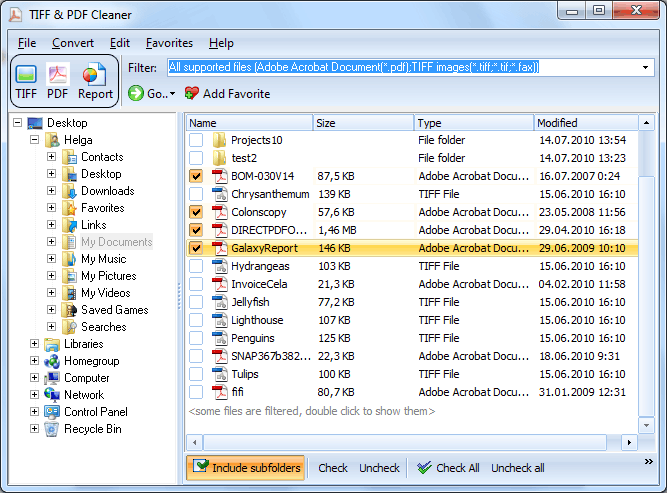 TIFF PDF Cleaner creates this list automatically so you don't need to upload any files. Having selected the folder, tick off the TIFF files you want to convert. Then set PDF as the target format for conversion. To do so, simply click on the "PDF" button located on the upper toolbar. In a new window that will open, select "Options" and choose the "Remove blank pages" option. To begin conversion, press "Start!" The 100% automatic conversion process will last a couple of seconds or minutes depending on the amount of files being processed. 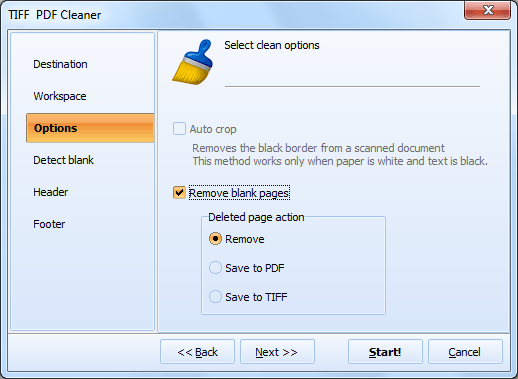 Tiff Pdf Cleaner can scan subfolders within folders, delete blank pages and keep folders' structure. Download your 30-day free trial copy of TIFF PDF Cleaner to see what other options are supported!